(ALL BLACK VERSION) USB 3.0 20-Pin Internal Header Adapter Cable (Low Profile Connector) - 12cm made with premium all black ribbon wire. 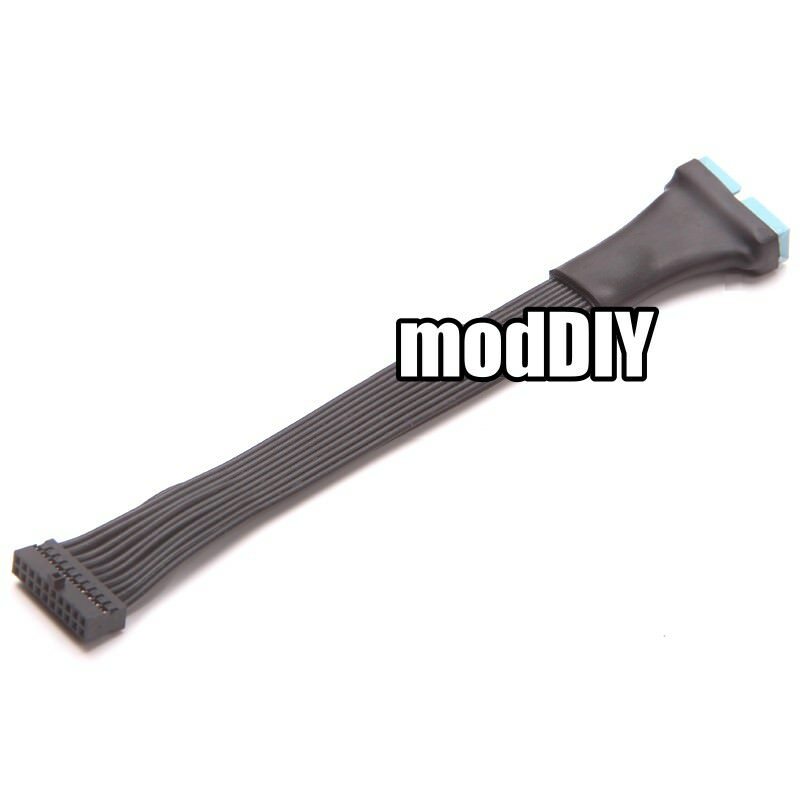 Low profile USB 3.0 extender/cable for motherboards. A great option for SLI configurations that need access to USB 3.0 headers. Measures 5 inches in length end to end. 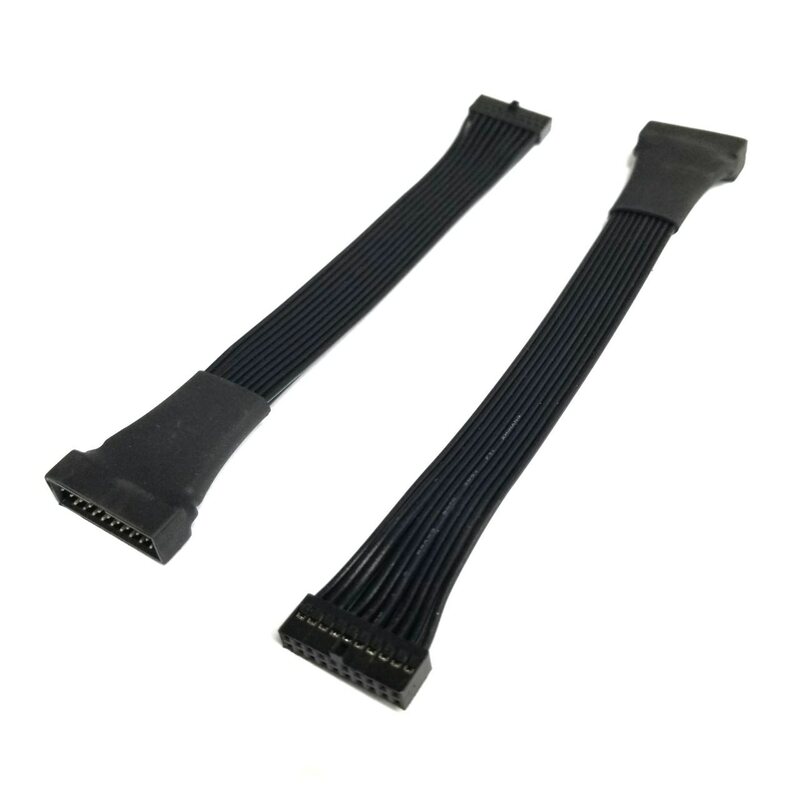 All new stocks are using top quality flat ribbon cable wire, which is much more durable comparing to individual crimped wires. "I love your site! Will be back for more! I just wish the cable I just ordered was 3 inches long instead of 5, I'm working with a node 202 box, and space is at a premium!" "Quick (and honest) service with the online chat system." "Brilliant response to my enquiry and quick too (Big thanks to Carrie). Seamless experience in placing the order." "Your customer service person, Carrie was very prompt and helpful in responding to my enquiry. Kudos to them - Please convey my appreciation." "It is a breeze, I hope I get the correct Item as ordered." "Great prices. Shipping speed was acceptable. Product as advertised." "I bought two things from here and each time I was very satisfied with the price and time to ship." Click the button below to add the USB 3.0 20 Pin Internal Header Adapter Cable Low Profile Connector to your wish list.